This bank holiday many people in London will come out to the UK’s biggest street party, the Notting Hill Carnival. Some will play mas, some will come out with family and friends to watch the spectacle of colour, costume and theatre of Afro-Caribbean culture. Whilst many will enjoy the fun and frolics of dancing and drinking. How many of us understand the who’s and whys of this magnificent display of culture and arts that brings the summer to sweet end? Carnival originated as a festival in ancient Egypt which was subsequently celebrated by the Greeks and Romans, it was later adopted by the Catholic Christian church as the festival of Carne (flesh) Vale(farewell), i.e. farewell to the flesh. This was the last celebratory feast before Ash Wednesday marking the beginning of Lent. European enslavers transported the festival to the Caribbean in the 1700s where they held masked balls which was restricted to the elites, the enslaved Africans were excluded. 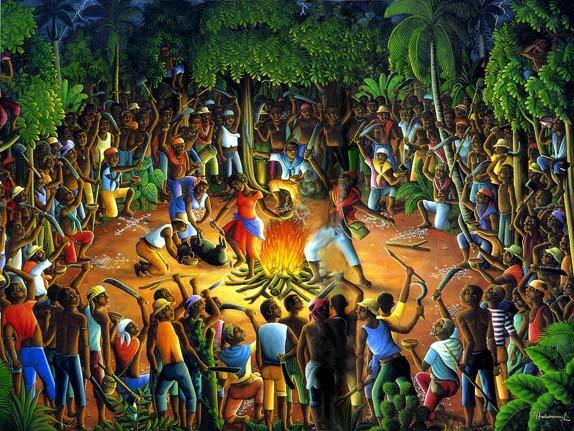 During enslavement, once a year, European enslavers gathered the Africans from all the plantations together to burn the cane fields in order to get rid of insects and snakes before the harvest. The singeing of the crops also was believed to heighten the sweetness of the crops. This ritual was known as Cane Brulee (Burnt Cane). 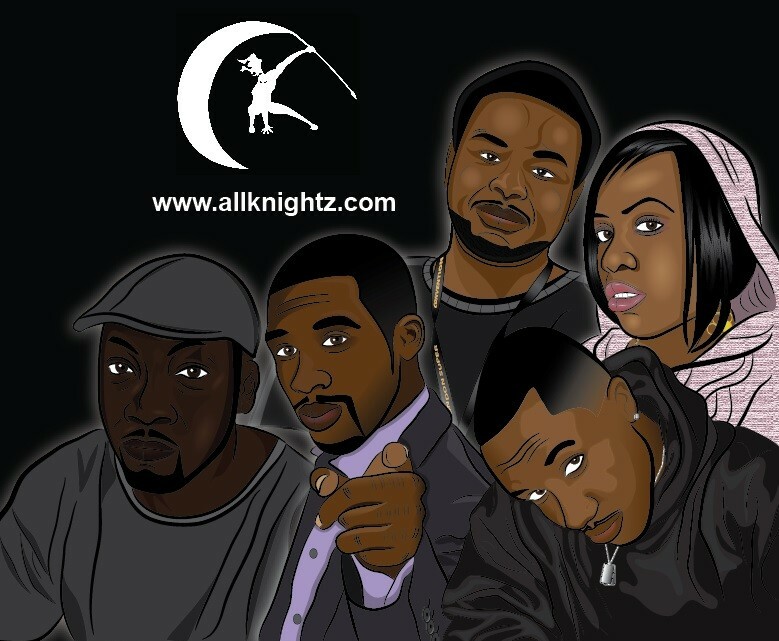 It was the only time of the year where all Africans were allowed to unite and gather as one from all the plantations. This eventually became a time of celebrations; as Africans had there own traditions to mark and celebrate key moments in a person’s life. This included, births, rites of passage, marriage and death. These celebrations took place in the under the guise of the Cane Brulee or Canboulay. It was a night time procession with singing/chanting and dancing and African drumming. After many revolts by Africans and protests which led to the the emancipation of 1834; the European slave owners abandoned their own carnival. The carnival was then taken over by the Africans as a celebration of the emancipation and as a reminder of the evil act of the slavery and oppression. 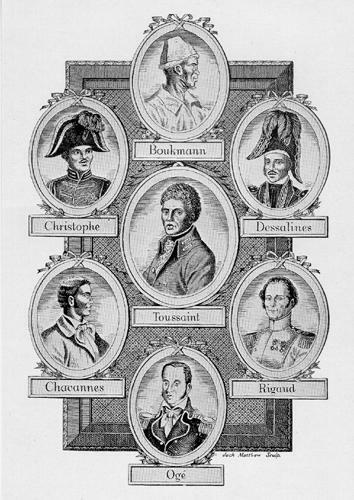 The celebration known as Canboulay was reproduced as the carnival, a symbol of revolution. 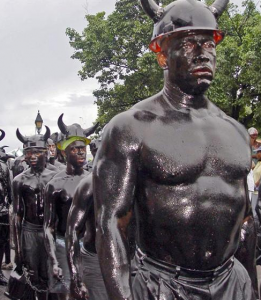 Africans set out their frustrations in creating their own carnival procession with African drumming, Lighted torches, singers and Kalenda stick fighters and and created Calypso music with witty lyrics mocking the European slave owners. They used characters such as Jab Jab, Jab Molassie (Devils), Midnight Robbers, Imps, Lagahroo ( shapeshifting monster, human by day but a headless man with a wooden coffin tied to its waist by night), Soucouyant (witch vampire), La Diablesses (devils) and Demons. This represented the evil of their slavery. Naturally, as a symbol of revolution, this was not welcomed by the authorities, they vehemently opposed the celebrations and claimed the flaming torches would burn down the town. Laws were created whereby masqueraders needed licences, a propaganda campaign was set up. Africans struggled and fought to maintain their celebrations. Police Chief Captain Arthur Baker in 1880s actually swore to wipe out the Canboulay for good. He set out to oppose the festival together with armed police. Masqueraders with their drumming and chanting clashed with Captain Baker’s forces. There was a riot and the African drumming and the Kalenda stick fighters were banned. Despite this, the people were defiant not to give up their culture. Bamboo sticks were then used and subsequently also banned in 1937. 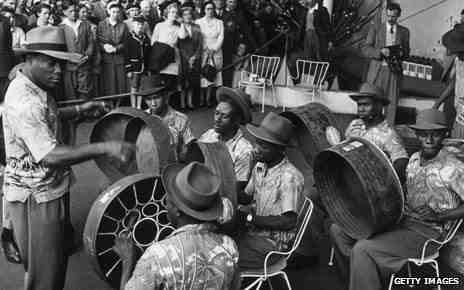 The oppression continued, yet the Africans continued repackaging their culture, and began to use oil drums, dustbin lids and frying pans. 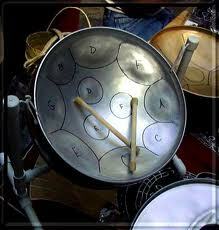 The ingenuity of people was amazing, the pans were broken down into musical notes and became what we know as steel pans of today. I dare any one today to carve a note out of a dustbin today, our ancestors skillfully defied oppression with flair and managed to maintain culture. 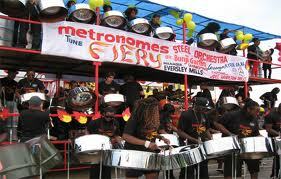 Today steel pans are taught and played worldwide, Every year London hosts Panorama which is huge steel pan competition attended by many in west London. Ironically, Notting Hill Carnival was created in response to the London race riots of the 1950s. In 1976 police cracked down on what was 250,000 strong event that did not accept their authority. Young people fought back, much like our African Kalenda stick fighters again the Captain Baker’s forces. History often repeats itself. ‘The Notting Hill Carnival faces cancellation next year amid grave concerns over public safety. Council chiefs have threatened to withdraw their support for the annual street party unless organisers dramatically improve their preparations. They claim this year’s event was let down by “profound organisational failure” and it is their duty to avoid the 2009 carnival being marred by similar chaos. Similar stories will undoubtedly be publish this year too, regardless our culture remains! There is clearly a spirit in this month of August, as there are many celebrations and remembrances that take place this month. 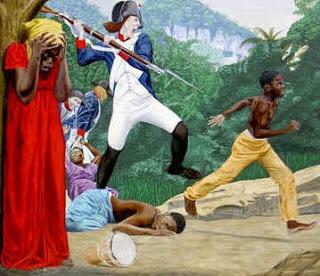 August 23 marks 222 years since the voodoo ceremony initiated by Dutty Boukman and Mambo Marinet that led to the Haitian revolution over 12 years, 4 European armies, 100,000+ Africans killed but our ancestors won their liberation for Freedom and brotherhood . 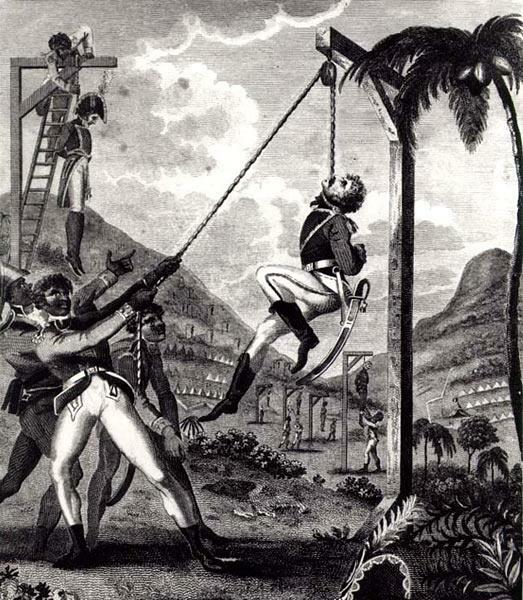 The Europeans eventually colonised Haiti not long after the revolution and assassination of Jean Jacque Dessalines – forced Haiti to pay reparation for over 130 years which made Haiti a slave economy well into the 1940s. 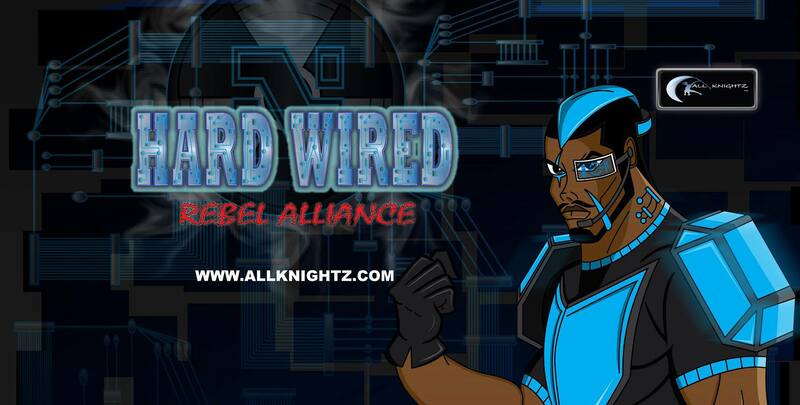 August 21st marks the day that Nat Turner led the rebellion against enslavers in 1821. 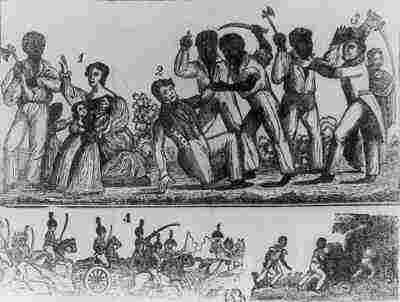 Nathaniel “Nat” Turner led a rebellion of slaves known as the“Southampton Insurrection against their White owners on this day in 1831, leading to the death of more than 160 people in total. The rally would be the largest to ever be recorded by way of an uprising during the American Civil War in the southern United States. He began planning a rebellion in early 1831 and said that a series of solar eclipses were signs from above that he should strike back. Originally planning the uprising for July 4, Turner would have to postpone the revolt due to planning and illness. 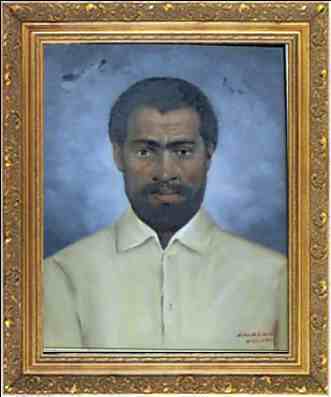 On August 13, another solar eclipse took place, and a week later, Nat Turner would launch the rebellion. 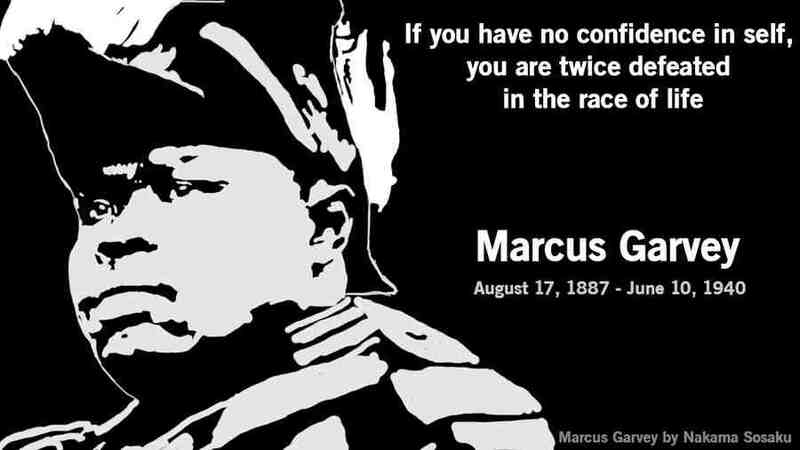 Enjoy your bank holiday weekend and all those who will enjoy the Notting Hill Canne Brulee/Canboulay/Carnival procession, but remember we are only able to do so because of the sacrifices and spirit of our ancestors that came before us, this month remember the the fighters of the Haitan revolution, Marcus Garvey and Nat Turner! 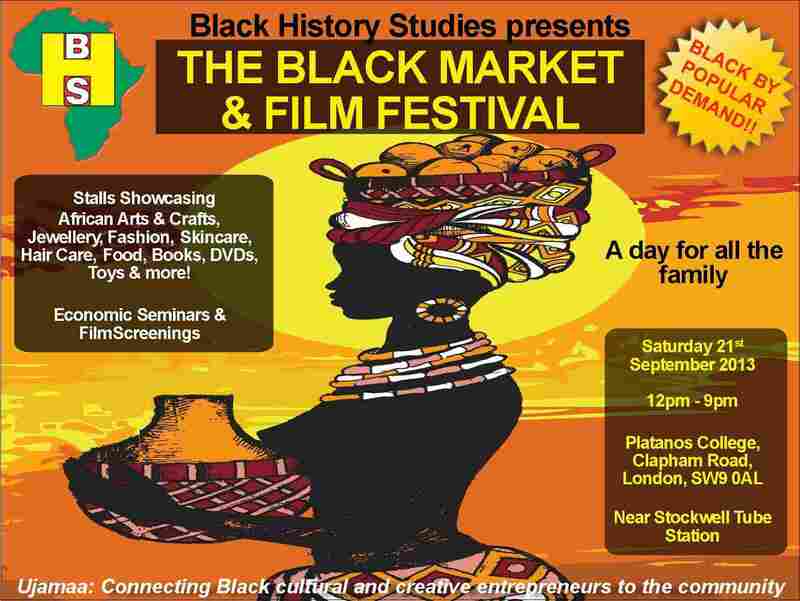 Don’t forget to catch the All Knightz live and direct at the Black History Studies Black Market event in Clapham! Find out more here. 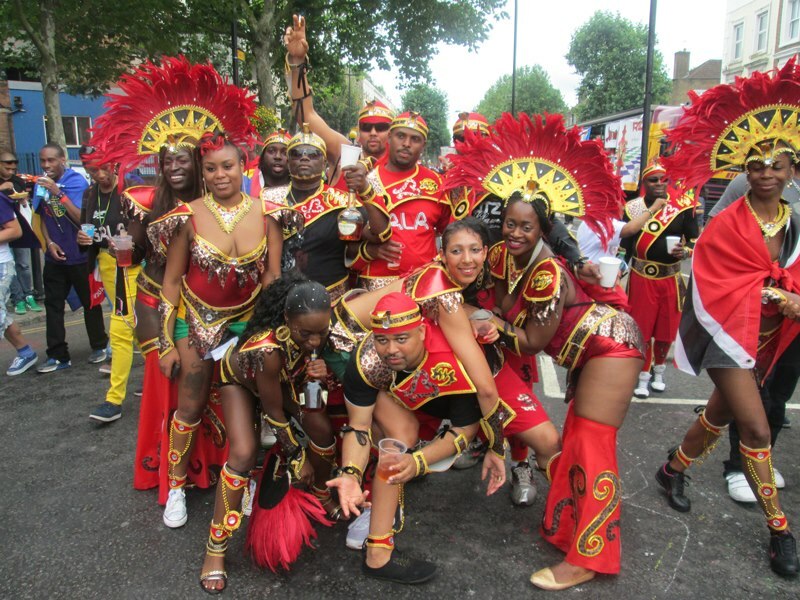 One of the best blog post on carnival ive seen in a very long time, I hope to read much more!